Buy Low: Sell High. Pay Capital Gains Taxes. 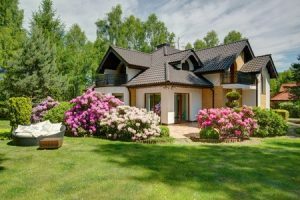 Many of my clients come to me with a very Californian problem: they bought their home many years ago for a fraction of what that home is worth today. For example, their mid-century house near downtown cost them $125,000 in 1973 and could be sold for $3.2 million next weekend. While that’s an excellent problem to have in some ways, what it means for a person who needs to sell that home is that they are going to have to pay a lot of capital gains on that sale. Capital gains taxes are levied upon the difference between what someone buys an asset for (called ‘basis’) and what they sell that asset for–the lower the basis, the higher the gain, and the higher the tax. In 2016, the maximum for long-term federal capital gains taxes (for assets held longer than one year) is 23.8% for high income families. In California, you need to add another 10%-13.3% for capital gains , so roughly a 33% total tax is what you’d expect to pay for capital gains at both the state and federal level. Each person is entitled to a $250,000 exclusion on capital gains taxes for the sale of their primary residence, so if a married couple sells, they’ll have $500,000 excluded from tax. In many parts of the country, that means people can indeed sell their residence and pay no capital gains taxes. But not around here. Given the steep tax on the sale of highly appreciated real estate, what’s a person to do? Obviously, the first option is to sell the house, pay the capital gains tax, and enjoy the good fortune of making an incredible investment. Another option, is not to sell the house, but find a way to keep your residence until your death. This is because of what’s called a ‘stepped-up basis.’ Appreciated assets owned at death are currently transferred to heirs at their date of death value. To put that in every day terms, your children inherit your assets for what they’re worth at your death, not for what you originally paid for them. If, instead of selling that $3.2 million house, our theoretical property owner kept it, and left it to her children upon her death, they will inherit it at its date of death value. For example, if at her death the house is appraised at $3.3 million, her children would inherit it at that value. Their basis in that property is $3.3 million. If they then sell the residence for $3.3 million, there would be zero capital gains to pay on that sale. (There may be estate taxes to pay on that value, but that’s another blog post). Of course, not every one has that option — many people need to sell their residence in order to move to assisted living or to a more appropriate house. Some of our clients have been able to reduce their capital gains tax bill and make a charitable gift by creating a charitable remainder trust (CRT) prior to the sale of the residence. This strategy takes some planning (for one thing, you have to move out of your house to make it work), but it is a great strategy for the right person. The basic idea is that the home owner creates an irrevocable trust that benefits a charity at his or her death. Until that time, the trust pays income to the donor or another beneficiary. The trust is funded with a portion of the house. Because a charity will be the ultimate beneficiary of that charitable gift (at the death of the trust’s beneficiary), no capital gains taxes will be due for the sale of that percentage of the house. By creating the charitable remainder trust, the homeowner reduces the capital gains due on sale, makes a charitable contribution, receives an income tax deduction for the year of the gift, and retains an income stream for life from that gift.